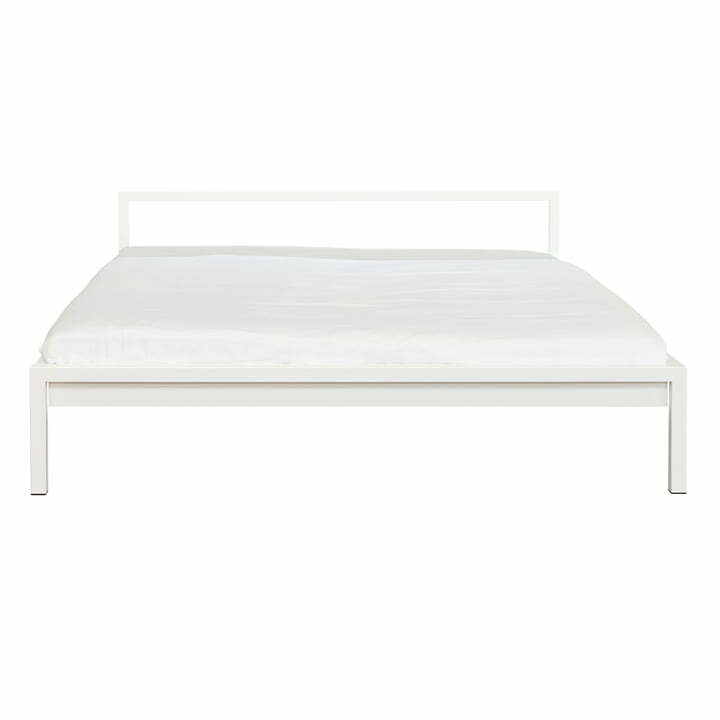 As revealed by the name, Pure from Hans Hansen is a simple minimalistic bed with purist forms. It consists of little more than a frame and has no frills or superfluous decoration. 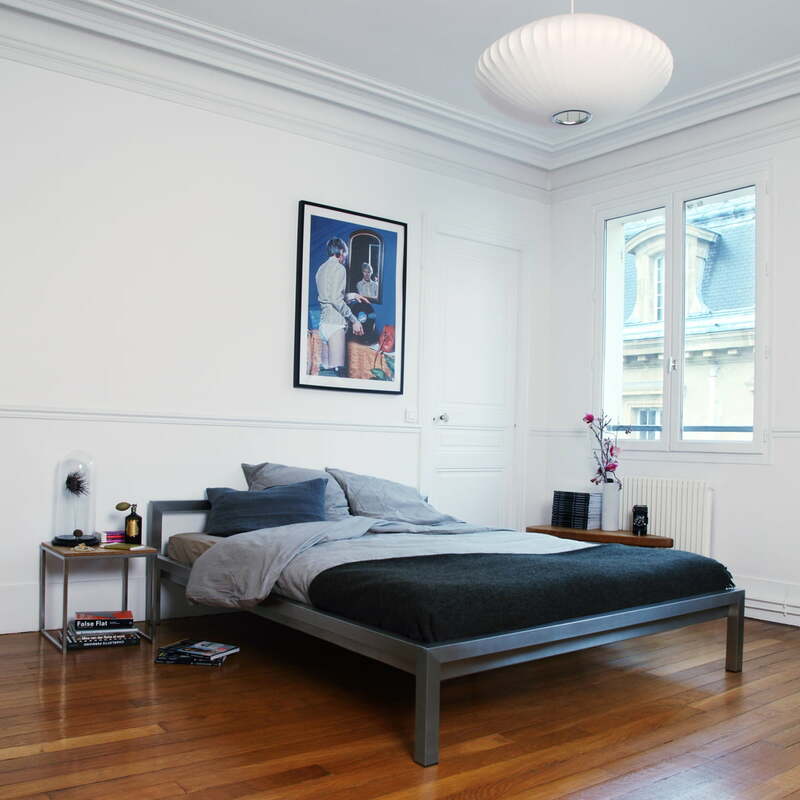 As with the usual simple designs by Hans Hansen, the Pure bed has a polished stainless steel finish. The head end is raised, so that you can comfortably life your head to read or watch TV comfortably without the need for pillows. 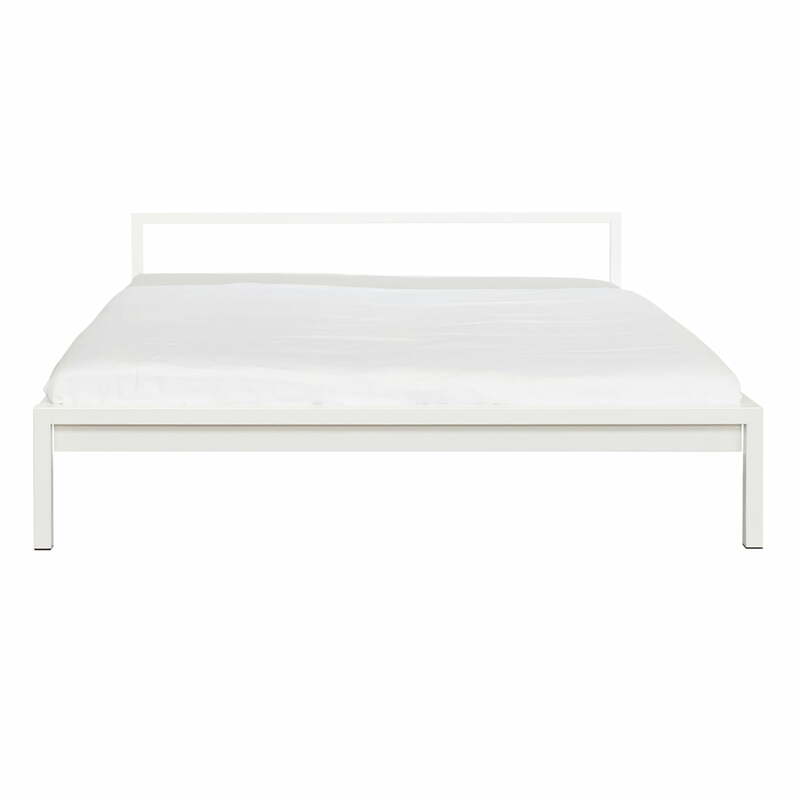 The Pure Bed follows Hans Hansen typical product style with simplicity and clearness. Stainless steel as material is elegant, long lasting, corrosion-resistant and meets the highest demands. Like all of Hans Hansen products, the Pure Bed is manufactured in Germany. Furthermore it is environmentally friendly since the material is 100% recyclable and thus ensures a closed material-cycle. 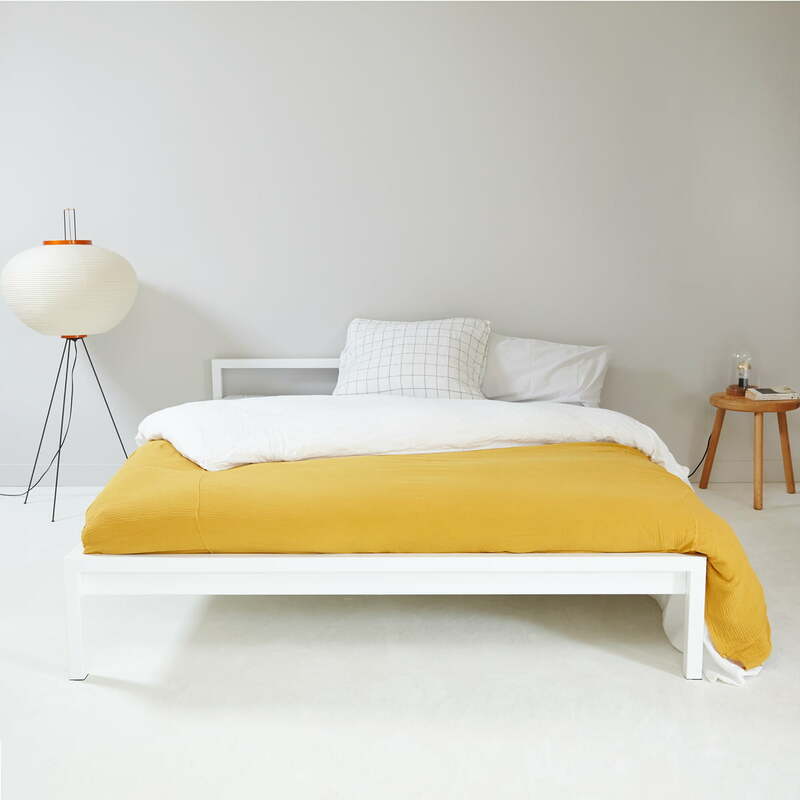 The Pure Bed by Hans Hansen is available in four sizes: 140, 160, 180 or 200 x 200 cm. Details Headboard height: 60 cm, inlet depth: 11 cm, mattress size: 140 x 200 cm. 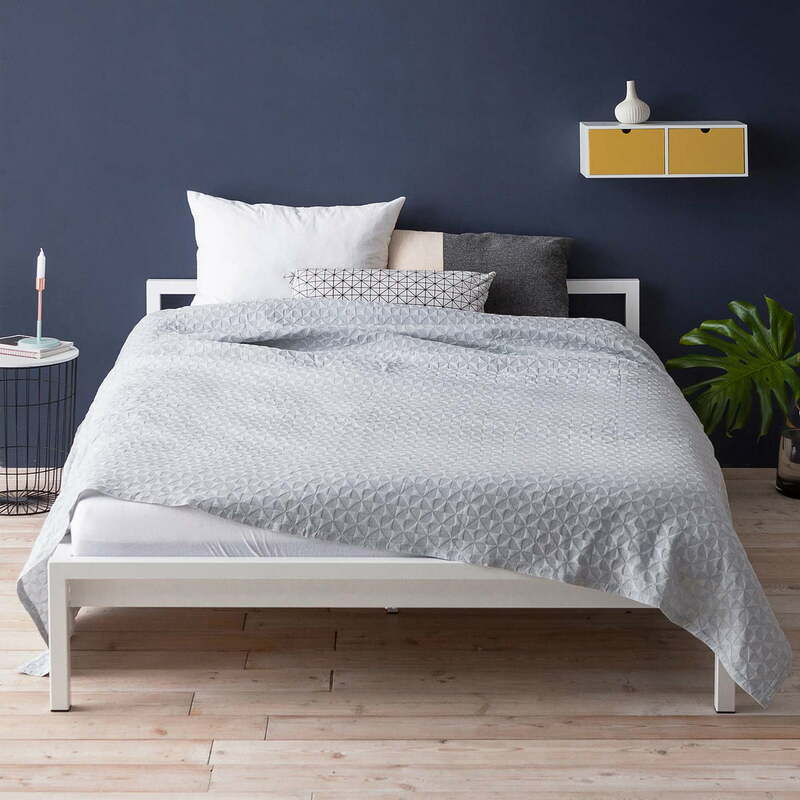 // Please Note: The slatted frame, mattress, blanket and cushions are NOT included in delivery.